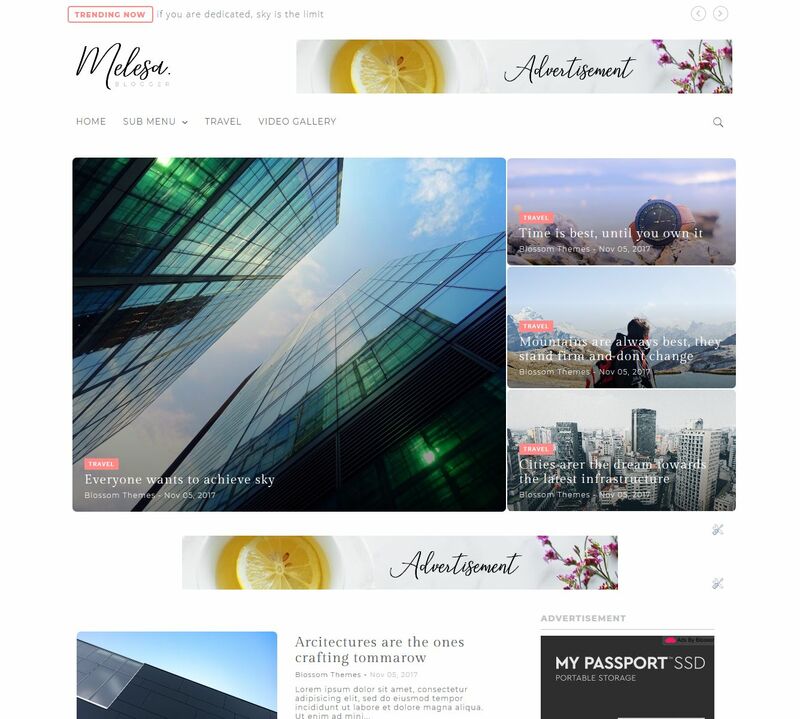 Melesa offers 3 diffrent post layouts to make your blog stand diffrent then others. Changing the post layout is so easy and just needs a few clicks. Break the boundaries and arrange your blog the way you want with the 8 different body layouts and 3 different footer layouts. Headers are always the first impression of blog so we have packed Melesa with 5 different header layouts which can be changed with few clicks. Featured content widget now became more smart with 3 different layout options. It is more amazing and blazing fast! Melesa has the option to customize the colors the way you want it. Change the colors with just a few clicks and make your blog different then others. Melesa is packed with 3 different type of pagination scripts which lets you customize the template the way you want it. Changing the pagination type is just a work of few clicks. Melesa is packed with the color customizations option, so setup the color as you want it is as easy as selecting a color and click on save button. Melesa is packed with the infinite Mega Menu, which adds the navigation in the mega menu so users can browse through the categories easily, fastly and without affecting the loading performance. Get your site up and running with Melesa.